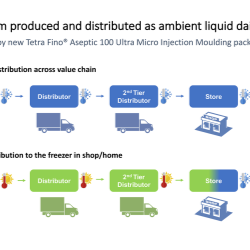 Tetra Pak has today launched the Tetra Fino® Aseptic 100 Ultra MiM, a new package that offers an opportunity for customers to produce liquid dairy and juice drinks using their existing production processes, and market them as ice creams and frozen products. Tetra Pak has announced that it is developing an energy assessment programme in collaboration with ABB to help food and beverage producers lower their environmental impact and cut costs. ​The programme provides an assessment of the entire plant, helping customers minimise their environmental impact and maximise profitability. 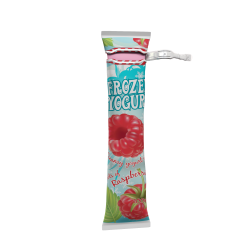 Tetra Pak has launched the Tetra Classic Aseptic 65ml Cube package, offering an efficient packaging solution for dairy, juice and liquid food. The dimensions of the package have been designed to allow every six packages to form a cube, hence optimising the use of space in distribution and storage. This has brought significant improvement in cost efficiencies and the environmental footprint. Health has been a top trend for a long time, but it is now reaching new heights. Consumers are seeking a healthy lifestyle across all areas and food & beverage plays a key role. We’re now seeing an evolution of this trend, providing opportunities to create a wider variety of products for different occasions. Tetra Pak will be joining forces with leading Swedish technology companies at Hannover Messe 2019, the world's largest industrial technology fair, providing insights on its experience and demonstrate how partnerships are the cornerstone of digitalisation, bringing value to food and beverage manufacturers. Al Rabie, Tetra Pak’s biggest customer in the Greater Middle East and Africa, has scored a world first with the launch of its new sports drink. Al Rabie, which has long been a byword for quality and innovation in the region, is also looking to strengthen its brand equity and reinforce its reputation for embracing the new. JUST Water, the innovative global water brand from the United States, has received the “Best Packaging Solution” award at the 2018 Global Bottled Water Congress with its unique Tetra Top carton bottle. JUST Water was launched in the US in October 2015. With the brand’s high success in North America, it has now reached Europe with a launch in the UK in August 2018 and has further global expansion goals in 2019 and beyond. Tetra Pak has published its 2018 Sustainability Report online, marking 20 years of sustainability reporting. Over the past two decades, the company’s approach to sustainability reporting has evolved significantly: from focusing solely on environmental commitments and actions, to evaluating every part of the business and its impact, including societal and supplier governance. Affordable cheese products in small packs provide an entry into the cheese world for the consumers of tomorrow, who in time will go on to embrace more sophisticated products. We look into some of the consumer and business trends in the spreadable cheese space. Mengniu, a leading Chinese dairy manufacturer, has upgraded its premium line of organic milk in collaboration with Tetra Pak, making it the first white milk in the world to use Tetra Prisma Aseptic 250 Edge with DreamCap. 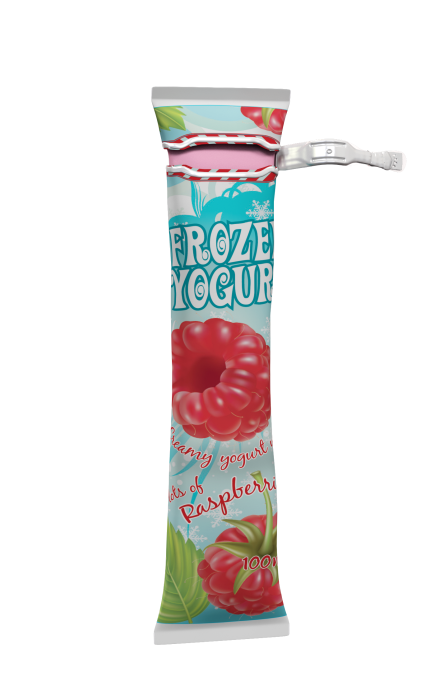 The new product line has a higher protein content, tastes better and stands out on the shelf thanks to a refreshed look. Tetra Pak now obtains half of its global electricity supply from renewable sources, putting the company firmly on course to meet its RE100 commitment of using only renewable electricity across all global operations by 2030. In the past two years alone, the company’s use of renewable electricity has increased by a factor of 2.5 through a combination of initiatives, including the purchase of International Renewable Energy Certificates (I-RECs) and solar power installations at its own facilities. 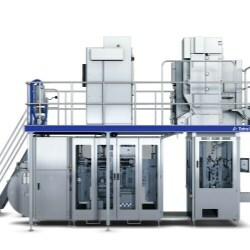 Tetra Pak today announces that its new tubular heat exchanger with P2P (Product to Product) technology now has 3-A certification.​​ Designed to achieve optimum hygiene, Tetra Pak’s machine is constructed with an innovative oxygen-free welding technique that eliminates crevices and potential hygiene blind spots, to achieve zero risk of bacteria aggregation. Smart automation has long since infiltrated our homes, with heating systems that turn on when they sense a drop in temperature, autonomous vacuum cleaners and washing machines we can operate with our mobile phones. However, when it comes to smart automation in food processing, for machines that can continuously produce thousands of litres of product an hour, the operation is significantly more complex. Industry 4.0 represents the fourth great leap in technology since the dawn of the industrial age. 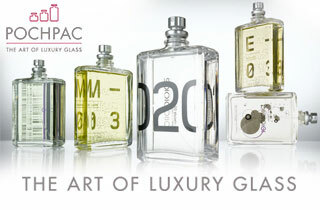 Each has brought its own set of challenges and forced industry to adapt the way it operates. But the opportunities created by those businesses flexible and far-sighted enough to seize them have been enormous. 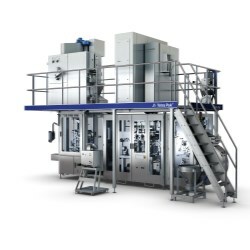 Tetra Pak has reduced the energy use of its separators by 40%, by incorporating a breakthrough pressure management technology, Encapt​, into the systems’ design. The Encapt technology lowers the atmospheric pressure around the spinning bowl using a low-pressure pump, and the system is supervised by sensors that keep air friction minimal. Less friction means less energy required. Predictive Maintenance with Condition Monitoring allow us to predict failures before they occur. By using real-time monitoring of critical equipment areas, we identify deviations in machine functions that could lead to machine stops or breakdowns. Our customer was, and still is, interested in innovation and continuous improvement and wanted this to be at the core of what we deliver. Since 2014 we have continued to work closely with the customer to continuously understand their changing priorities, aspirations, and reduced variability by 84%. A fruit purée producer in the Americas, faced a challenge in complying with Food and Drug Administration (FDA) regulations. Tetra Pak swiftly mobilised a multi-disciplined team of food safety experts, including project commissioning and automation engineers to assist, and finished three weeks ahead of schedule. World’s first fully renewable package featured in new display at the Museum of Brands Tetra Pak has now delivered more than half a billion packs of Tetra Rex® Bio-based, the world’s first beverage carton to be manufactured entirely from renewable materials. Kaslink is a young and fearless Finnish food company which has transformed from a sauce production company into a dairy company. Willing to take big risks to stay ahead of the competition, Kaslink teams up with partners it can rely on, such as Tetra Pak. Tetra Pak has ​today (Monday 29th January)​ been named on the CDP Supplier Climate A list for the second time, as well as being announced as a CDP Forests A list in December, also for the second time. We have been reporting to the CDP Supplier Climate programme since 2009 and to the Forests programme since it was first established in 2015. Dairy Plus, one of Tetra Pak's number customers in Thailand, quadrupled sales in the first two months with Dairy Plus drinking yoghurt launched in Tetra Brik. Emphasising the 'right-size' and promoting the products to mothers as a nutritious alternative to sweet snacks or candy. The impact on sales figures was immediate.